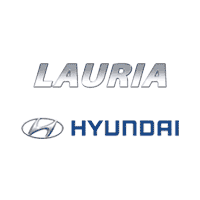 Lauria Hyundai is pleased to welcome you to our Friends and Family Rewards – where membership earns you rewards for successfully referring friends, family, and co-workers to our dealership. A successful referral is one that results in a vehicle sale. Your referral must specifically ask for your sales representative and they must tell the sales representative that you sent them before the sales process begins. Other members of the Friends and Family Rewards Program as well as previous customers cannot be referrals. If someone has bought a vehicle from us before, or if they have received a Referral Reward, they are not eligible to earn you rewards. In the event that your sales representative is not at the dealership, instruct your referral to inform one of the Sales Managers. They will facilitate the reward for you. Lauria Hyundai Friends and Family Rewards has been formed to thank you for sharing your positive experience with others and for recommending Lauria Hyundai. Our commitment is to treat your referrals with the same level of respect and dedication to satisfaction that we have given you. Thank you for joining our Friends and Family Rewards Program. We hope that you will engage and enjoy this program. We all deal with so many people in our daily lives, and people love to talk about automobiles. It’s easy to earn extra spending money.